Control Surfaces There are 3 products. Control surfaces from HGW Models for Focke-Wulf Fw 190A/D/F aircraft model. It isn't ordinary decal but wet transfer which doesn't leave any signs of varnish or typical transparent film around the decal. This products is designed directly for kit by Eduard in 1/48 scale. 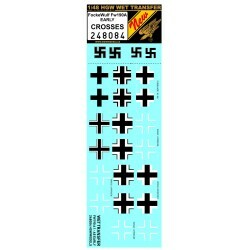 Control surfaces from HGW Models for Messerschmitt Bf 109F/G/K aircraft model. It isn't ordinary decal but wet transfer which doesn't leave any signs of varnish or typical transparent film around the decal. 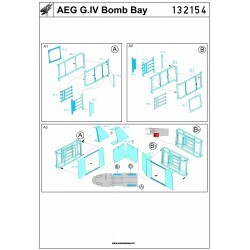 This products is designed directly for kits by Hasegawa or Revell in 1/32 scale. Control surfaces from HGW Models for Focke-Wulf Fw 190A/D/F aircraft model. It isn't ordinary decal but wet transfer which doesn't leave any signs of varnish or typical transparent film around the decal. This products is designed directly for kits by Hasegawa or Revell in 1/32 scale.